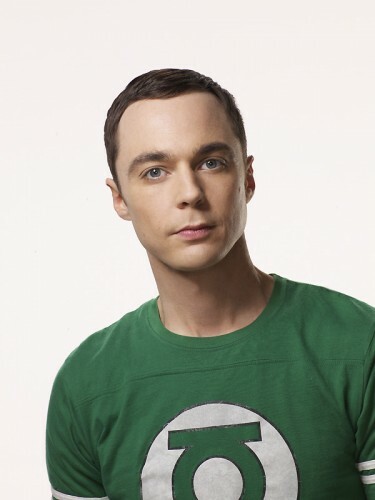 Jim Parsons is a four-time Emmy-award winning actor best known for his role as Sheldon Cooper on The Big Bang Theory. Born and raised in Houston, Texas, Parsons received a bachelor's degree from the University of Houston and went on to gain a Masters in Fine Arts degree from the University of San Diego, for a course run in partnership with the Old Globe Theater. He made his television debut on Ed in 2002 and went on to have a recurring role on the CBS drama series Judging Amy. He featured in a 2003 commercial for the sandwich chain Quiznos. Jim Parsons was first cast as Sheldon in the original pilot of The Big Bang Theory, which was initially developed for the 2006/07 season and also featured Johnny Galecki as Leonard. Since The Big Bang Theory premiered in 2007, Parsons has received six consecutive Emmy nominations for Outstanding Lead Actor in a Comedy Series and has won the award four times. He won a Golden Globe award in 2011 for his role on the show. His movie credits include the 2004 independent film Garden State, which starred Zach Braff and Natalie Portman, and 2011's The Muppets movie, and The Big Year. Parsons lent his voice to the 2015 Dreamworks film Home, which also featured Rihanna and Steve Martin. His latest film role was in the 2016 film Hidden Figures, which told the story of the overlooked contribution of three African-American female mathematicians to the space race during a time of segregation. Parsons made his Broadway debut in 2011 playing Tommy Boatwright in the play The Normal Heart, about the HIV/AIDs crisis in New York in the 1980s, starring opposite Ellen Barkin and Joe Mantello. Parsons went onto reprise the role in the 2014 film adaptation of the play, for which he received his seventh Emmy nomination. He has also starred in Broadway productions of Harvey in 2012 and An Act of God in 2015-16.